Nearly a decade after the meteoric success of Shania Twain, Jessie James is staking her claim to become one of America’s marquee pop starlets. And looking at the current musical landscape, Jessie James may be the breakout star of 2009. As with all new artists, comparisons are bound to arise—especially with the presence of best-selling artists like Taylor Swift and Carrie Underwood. But Jessie James stands apart, however, through her songwriting prowess, which better suits an audience that would allow for pop chart dominance. Take “Wanted,” Jessie James’ lead single, for example, which is quite reminiscent of Christina Aguilera’s “Genie in a Bottle” years. 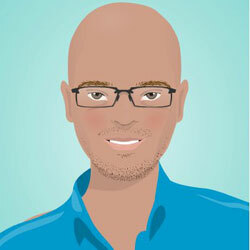 Although the future is unpredictable, call me clairvoyant. Ten years from now, the world will distinctly remember—and fondly address—the name of Jessie James. Upon review of her debut album, Jessie James managed to squeeze some time out of her busy schedule and settle down for an interview with Clayton Perry — reflecting on Bobbie Gentry, “Wanted,” and the long road to Mercury Records. In a lot of ways, Sammie Bush’s music career is akin to a cat who has nine lives to live. Since his 1999 debut, From the Bottom to the Top, Sammie’s life has repeatedly alternated between the “real world” and the “music world.” Over the course of a decade, however, through all the ups and downs, Sammie made a seamless transition—from an adolescent boy into a young man—and developed a loyal fan base around the world. At the age of 13, Sammie secured his first Top 10 hit, “I Like It,” which was followed by “Crazy Things I Do,” a sentimental ode that crossed cultural and age-defined boundaries. Even so, just as the young singer’s star began to shine bright, he took an abrupt hiatus from the music industry. Nearly five years would pass before the world would be introduced to Sammie again. In 2006, Sammie reappeared with his self-titled sophomore set, at the age of 18. The album aimed to shed the “kiddie” persona of his gold-selling debut and danced a delicate line of maintaining Sammie’s youthful vibe, while covering a wider range of “grown-up” topics. Of the fifteen tracks, “Come With Me” was the most personal. 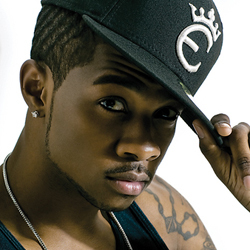 During the winter of 2007, the single would eventually become an underground R&B smash that re-defined his overall image and prepared Sammie’s fans for his third studio album, Coming of Age. In preparation for the release of Coming of Age, Sammie managed to squeeze some time out of his busy schedule and settle down for an interview with Clayton Perry — reflecting on Dallas Austin, “Come With Me,” and his new company, StarCamp Music. Charlie Wilson is best-known for being the lead singer of the Gap Band, whose string of platinum and gold albums produced hits like “Outstanding,” “Yearning for Your Love,” and “You Dropped a Bomb on Me.” The consummate performer, Wilson’s star shined bright on his solo outings as well: You Turn My Life Around (1992), Bridging the Gap (2000), and Charlie, Last Name Wilson (2005). And on the heels of 2005’s gold-selling LP, “Uncle Charlie” topped Billboard’s Hot Adult R&B Airplay, again, with the release of “There Goes My Baby,” which spent eight weeks at the summit. During his reign at the top, Wilson scored his highest debut on the Billboard 200, when Uncle Charlie, his fourth solo album, landed in the #2 spot. 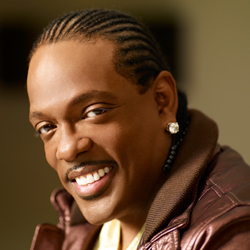 As the mentor of Aaron Hall and principal influence on R. Kelly, Charlie Wilson is — without question — “the de-facto father of new jack swing.” Upon review of Uncle Charlie, his fourth solo album, Charlie Wilson managed to squeeze some time out of his busy schedule and settle down for an interview with Clayton Perry — reflecting on “Homeless,” his public battle with prostate cancer and the absolute power of music. 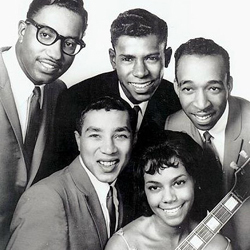 Generations of Motown fans were acquainted with Claudette Rogers Robinson as the sole female singer in The Miracles. Few know, however, that Berry Gordy affectionately dubbed her as “The First Lady of Motown,” for being the first female artist signed to Motown’s first vocal group, The Miracles, who also had the distinction of having the label’s first #1 hit, “Shop Around.” Moreover, Ms. Robinson is the former wife of Smokey Robinson, who used her as the muse for “My Girl,” which became a signature hit for The Temptations in 1964. On March 20, 2009, five decades after The Miracle’s founding, Claudette Rogers Robinson and her fellow Miracles were honored with a star on the Hollywood Walk of Fame. In celebration of the 50th Anniversary of Motown Record Corporation, which was formerly known as Tamla Records, Ms. Robinson managed to squeeze some time out of her busy schedule and settle down for an interview with Clayton Perry — reflecting on Berry Gordy, “soul music,” and the legacy of Marvin Gaye. Leela James is one of those singers whose voice will stop someone dead in their tracks. You know the kind: a voice so powerful and unique that even the casual listener must give it a cursory listen—at the very least—before going about their day. No matter one’s musical preference, it would be hard to deny that Leela’s got soul. Raw emotion exudes from her gritty vocals, all of which are underpinned by passionate lyrics. And while such realness may not find a welcome place on mainstream radio, millions have stumbled upon her music online and through her memorable live performances. Leela James’ debut album, A Change is Gonna Come, features several fan favorites, like “Music” and “My Joy,” which showcase the depth and breadth of her musical abilities. And in 2009, James covered some of her favorite singers on Let’s Do It Again, a specialty album released by Shanachie Records. Upon review of her sophomore release, Leela James managed to squeeze some time out of her busy schedule and settle down for an interview with Clayton Perry — reflecting on Betty Wright, her passion for music and the grueling, four-day recording experience for Let’s Do It Again.